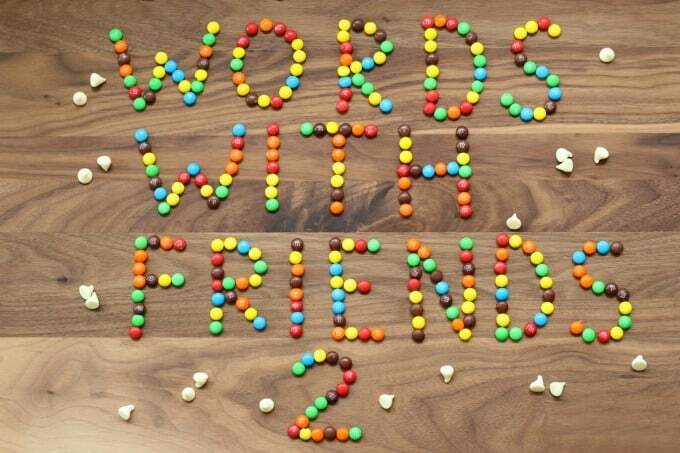 Have you downloaded the app to play Words With Friends 2 yet? If not, what are you waiting for? 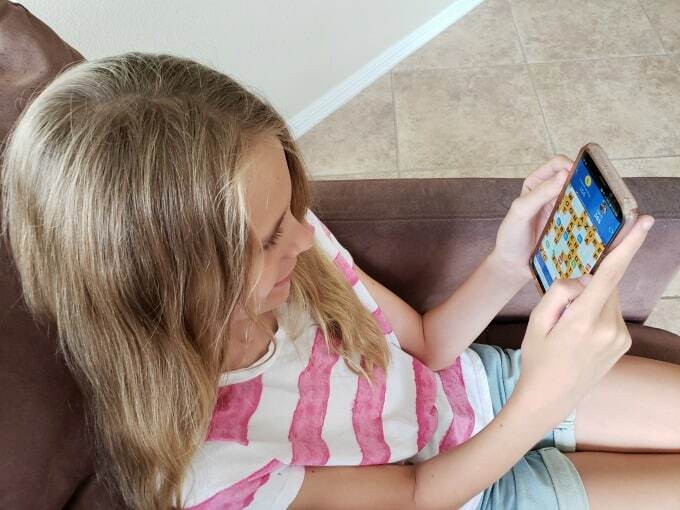 Find out why this is my favorite new mobile word game, then get the app and challenge me to a match! This post is sponsored by Zynga, but the content and opinions expressed here are my own. One of the biggest advantages to this game is that I can play it on my time. It’s a fun distraction when I’m waiting at the doctor’s office, sitting in the carpool lane or even make a dessert. 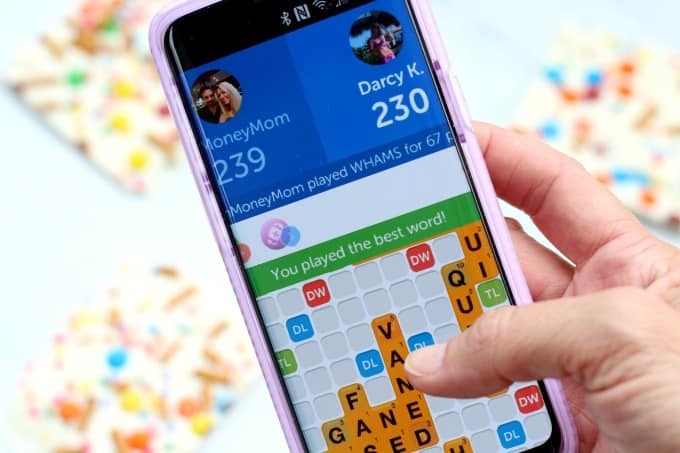 I made a yummy Chocolate Bark recipe yesterday and while I waited for the chocolate to cool, I pulled out my phone to play Words With Friends 2 for a couple minutes. It’s such a great way to pass the time! I may have gotten a little carried away though. Okay, I definitely got carried away. I couldn’t stop myself. Look how great I did though…I used all my letters but one! If I happen to be in the middle of something when my turn comes, it doesn’t even matter. I can take my turn whenever I want, whether it’s in an hour or a day or two. I love a game that makes me think and with this word game, I have to strategize and even plot my next move ahead of time. Plus, nothing makes you feel smarter than when you are able to create a 51 point word like I did the other day (now I just need more of them!). 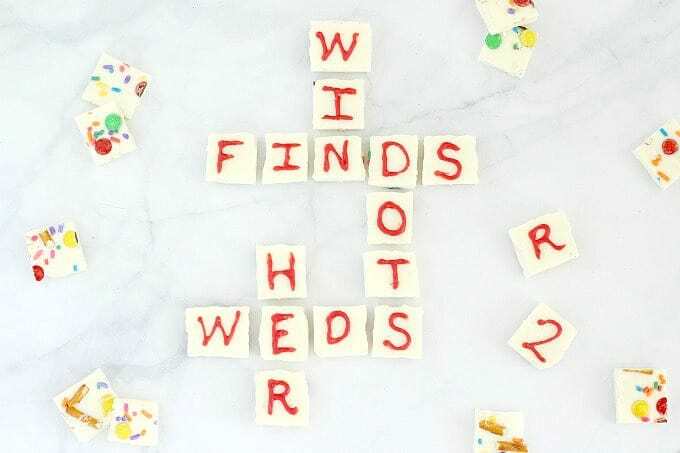 Finding the best words can definitely be a brain teaser but I feel so brainy when I make a good one! If you’re new to the game and need a few tips, you can find help within the app. One tip shows you all the spaces where you can make words (but not the letters to use) and another will show you where the most words can be played. You can also choose the hindsight tool, which shows you after the fact where you could have played your letters. I also like looking at the stats, though it looks like I definitely need to up my game on the 100 point words! This is more than just a game though. It’s a fun way to make connections. Even my hubby and 10 year old daughter have gotten in on it and we’ve been having a great time playing against each other. I love being able to play this with my daughter and it’s a great way for us to bond. I may be easy on her but it’s a different story with my hubby! We’re super competitive and have fun trash talking each other while we play. Who says winning isn’t everything? It is when you’re playing your significant other. He may be way ahead this time but I’m totally taking him down on the next game! 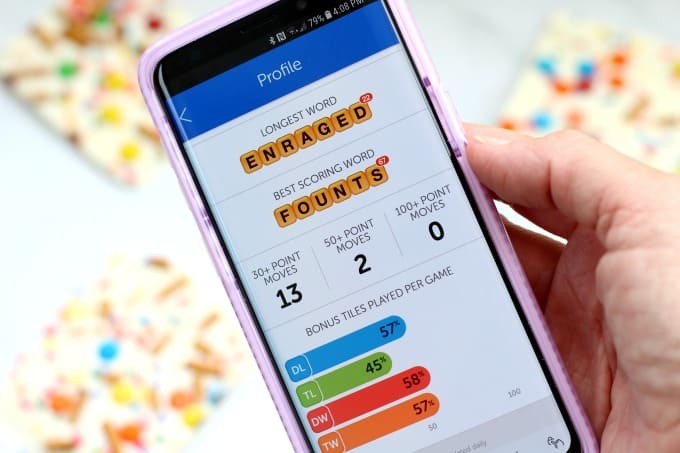 Words With Friend 2 also comes with an unexpected benefit! I’ve been connecting with friends and family that I don’t see very often. Playing this game together is a great way to keep in touch with people that live out of town. I’ve been playing against my cousin Darcy and it’s a good thing I like a challenge because she’s good…really good! She has 368 wins under her belt (and I’m one of them)! I might see her just once or twice a year but it’s fun to be able to keep in touch through the mobile game. 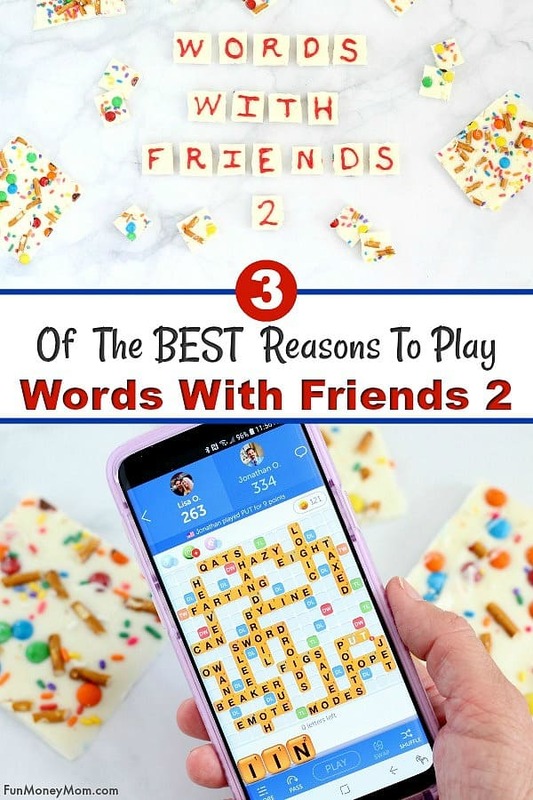 I’ve been having fun playing my friends and family but now I want use this mobile word game to connect with YOU! 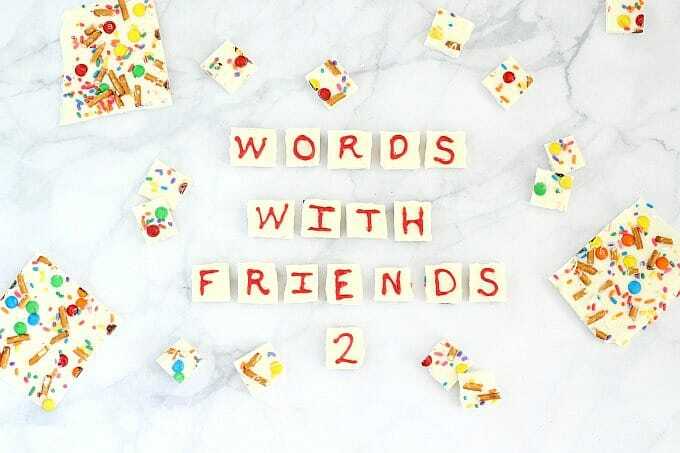 Yes, it’s just what it sounds like…I’m challenging you to a game of Words With Friends 2. Just download the app and look for me under my user name, FunMoneyMom. 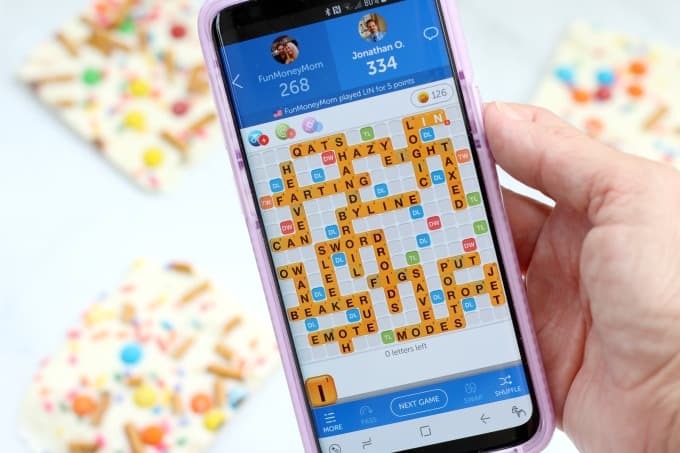 Who do you want to connect with over Words With Friends 2? Are you a laid back type of player or do you get super competitive? Don’t forget to look for me, FunMoneyMom, and challenge me to a game!